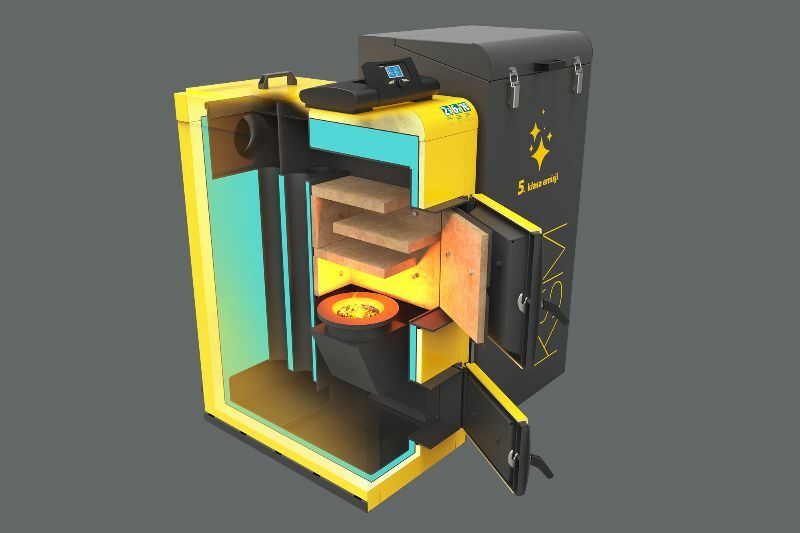 The KSM boiler is a modern central heating equipment with a retort feeder PSR , where eco-pea coal obtained from the hard coal is used as a primary fuel. The heat exchanger is designed with a vertical system of flue gas ducts , what influences the high efficiency of the device reaching 91%. KSM meets the power-emission requirements of class 5 acc. to 303-5:2012 standard. 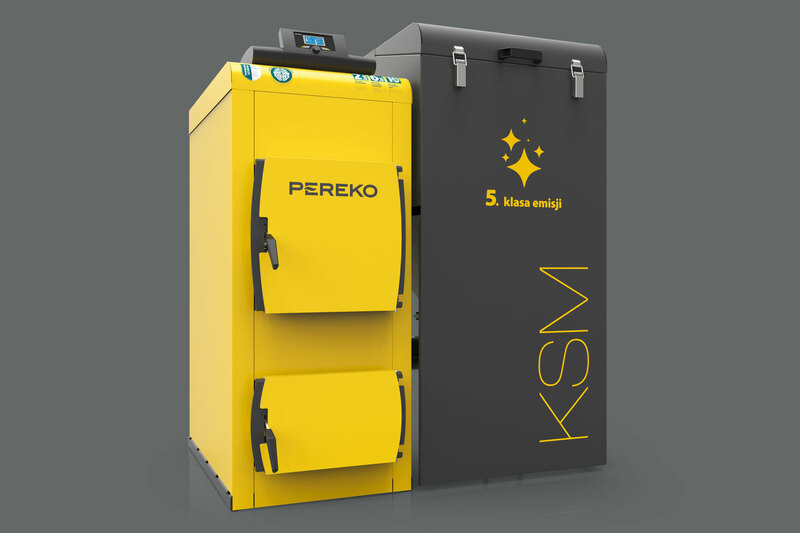 It means that the KSM boiler is a device characterizing with a low level of pollutant emissions to the atmosphere and therefore it is possible to get state subsidies reaching even 50% for its purchase. 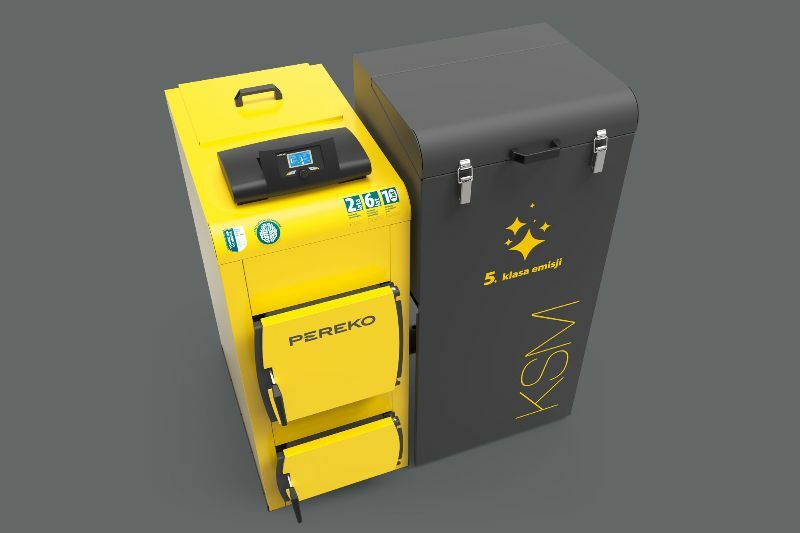 KSM is equipped with two independent systems (electronic and mechanical) protecting the boiler against overheating and freezing of the system. First one includes electronic sensors responsible for maintaining the correct temperature of the screw and water in the boiler and hot water cylinder. The operation of the feeder and fan is stopped along with activation of the alarm signal when it is exceeded. Flame suppression system is activated when the feeder pipe reaches too high temperature. Electronic sensors protect also against freezing of water in the system. When ambient temperature falls below 5°C the response of the sensors starts activation of all pumps ensuring circulation of water in the system. Mechanical sensor STB is used as additional protection. STB sensor shutdowns air injection and stop operation of the fuel feeder and activate audible signalling if the safe temperature of water for the boiler is exceeding. The KSM boiler is equipped with an advanced control system. ecoMAX 910  controller is responsible for maintaining set temperature by control of fuel combustion process (frequency and dosed amounts) and control of fan blowing force. Its additional advantage is control of the operation of two independent mixing cycles. This function allows setting different temperature ranges in several heating systems, e.g. in case of floor heating system and room heaters. The functionality of the controller can be extended by optional modules: internet module ecoNET 300 and room panel ecoSTER TOUCH, allowing remote control. Eco-pea coal is a coal with a grain size 5-25 mm intended for modern boilers with a retort feeder. It characterizes with high calorific value and low content of sulphur and ash. This product is produced from selected coals with the best available parameters. 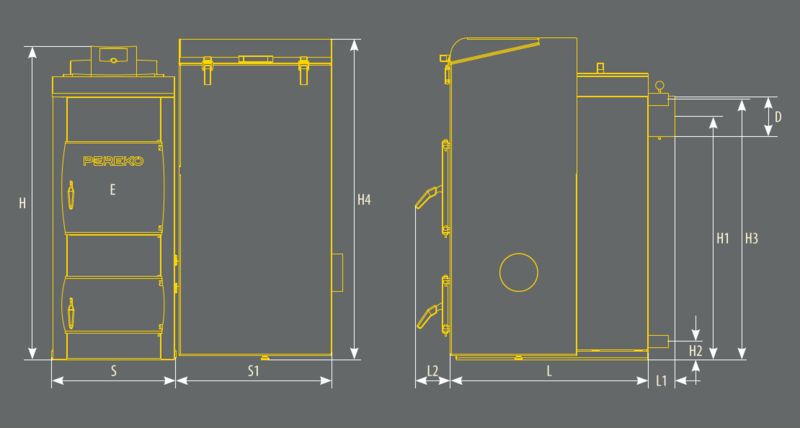 PEREKO boilers have high heating power with relatively small dimensions. It is also possible to install them in smaller boiler rooms. Certificate from accredited laboratory confirming meeting the requirements of the 5th emission class allows obtaining co-financing for the purchase of the equipment. The sensor protecting against exceeding a maximum temperature of operation. Its task is to shutdown the device when the temperature inside increases above the specified level. It ensures clean combustion and non-disturbed operation. 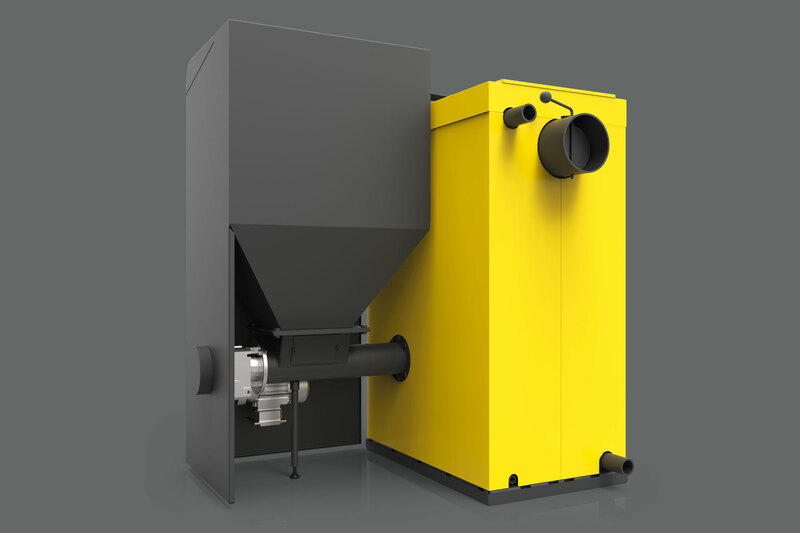 PSR feeder is intended for use of eco-pea coals and pellets with granulation not greater than 31.5 mm. An additional module allows controlling operation of the boiler via the internet. The manufacturer reserves the right to introduce structural changes.